The media strategy for a regional B2C company may be different from the approach a nationwide B2B organization would need to follow. That’s why MPlan takes the time to learn your business, understands what you want to achieve and ensures that the media planning that follows will lead you there. MPlan helps you achieve all your objectives, regardless of whether you want to increase business awareness, raise revenue or take on new markets. We help you identify the groups your organization should target. 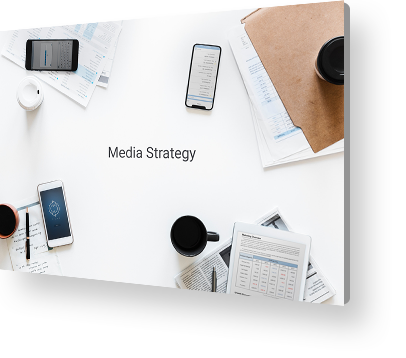 Whether you start with a budget or with specific goals, we can build an ROI-driven media strategy based on your needs and resources. All media strategies take the same approach to creation. They must all have specific goals and a specific demographic in mind. However, their objectives may be completely different. In this sense, there are different types of media strategies. We, at MPlan, make recommendations based on our experience, and proactively adjust campaigns to meet changing circumstances and opportunities.